The front door is perhaps the most prominent feature on your house. If you think of your house as a painting, the landscaping is the background, the siding as the body, then the windows are the details that add interest, but the front door is the subject. It’s the face of the person you are talking to in a conversation. Sure, you notice their clothes and their gestures but when you’re having a one-on-one conversation with someone, you looking at their face. You notice the color of their eyes and the spinach stuck in their teeth (oops!). Your front door is the only part of your house that visitors will stare at with nothing else to do but notice its beauty or flaws. They ring the bell or knock and wait patiently all the while staring at your front door. So, shouldn’t you make the front door a statement piece? 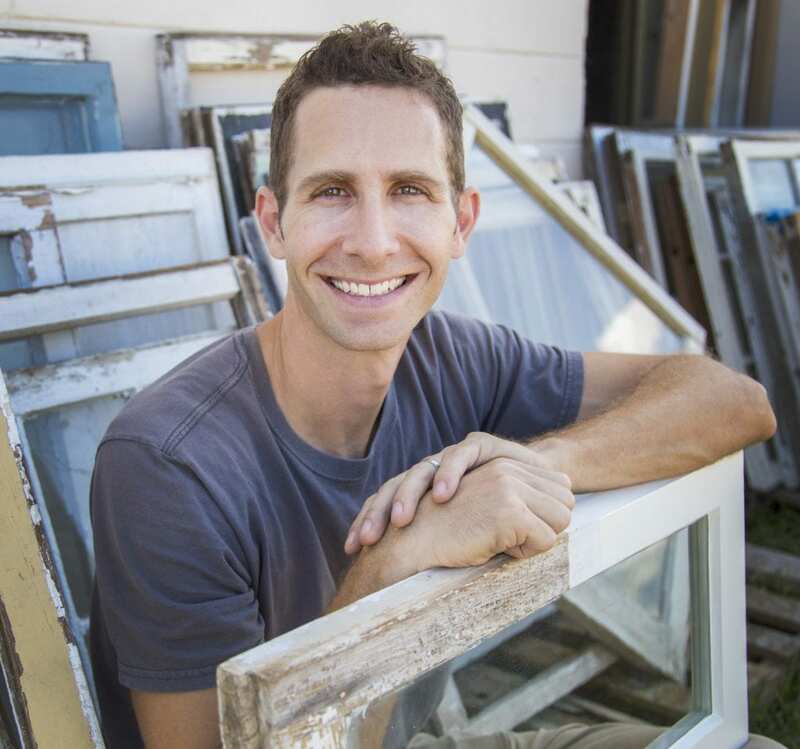 According to Remodeling Magazine’s annual Cost vs. Value Report, front door replacement (or in our world, restoration) has consistently given a bigger payback than almost any other home improvement. A restored front door is such a beautiful thing. With a couple fresh coats of paint you can really make your front door stand out. 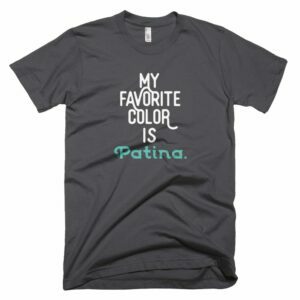 It’s a little ironic that I am writing this post, because at my house, I am not allowed to choose paint colors anymore. My wife and I have an arrangement that I build it and she paints it. Color choice is not always an easy task for me, but like so many visually oriented people, I know what works when I see it. 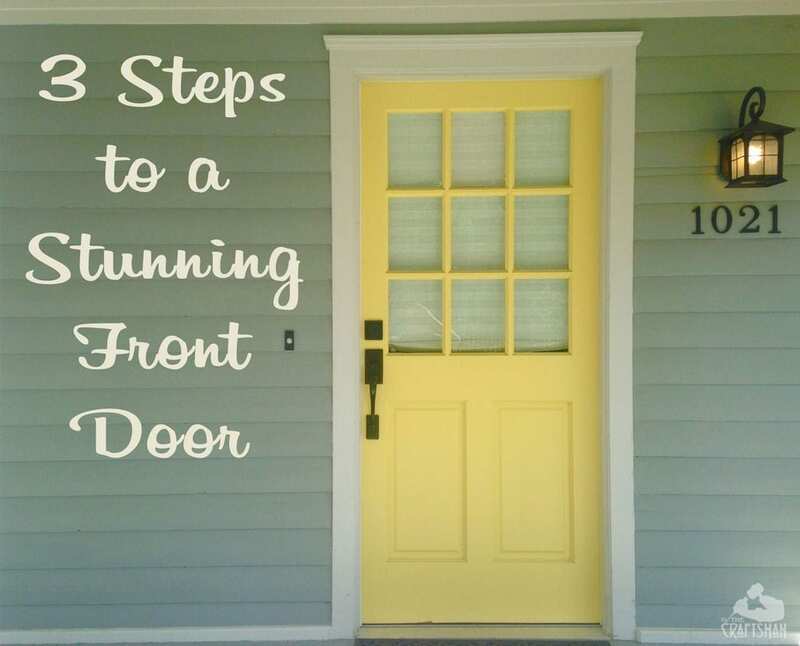 So, I’ve put together these three rules to create a truly stunning front door. Follow these, and your door will be the talk of the neighborhood. Go big or go home with your front door color. The most striking front doors are the ones that stand out and turn heads from the street. 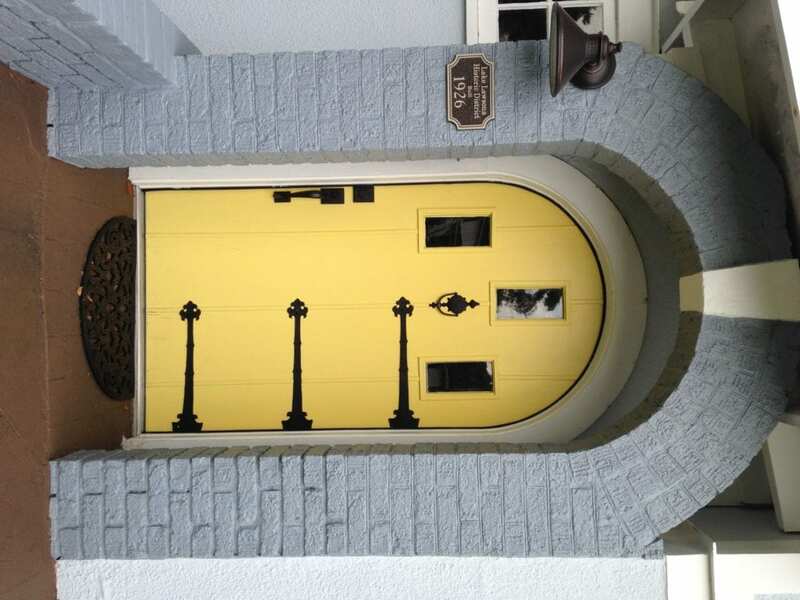 This bright yellow door almost made me have an accident as I drove by it was so striking. I circled back around just to take a picture just because I thought it was so beautiful and unexpected. There are so many colors available today unlike in previous generations. 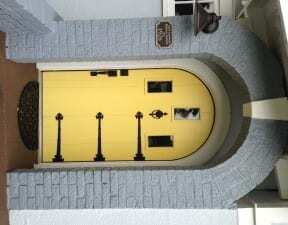 Make use of this variety and find new exciting colors that wouldn’t have been expected for front door use. Try my resource page Historic Paint Colors for some help finding the right colors. A front door color that is opposite the body of your house really stands out. 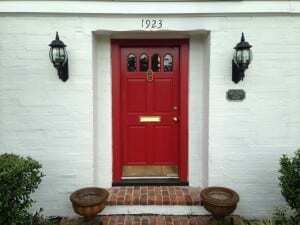 The timeless tradition of the Fire Engine Red or Midnight Black front door on the white Colonial home has stood the test of time for centuries because of this very rule. Contrast helps draw the eye and tells it where to focus. These dramatic colors add such interest that they can almost seem to add to the architecture of the building. Without a strong color, the front door can appear to be hidden. Long story short, make sure your door doesn’t blend into its surroundings. Nothing turns a potentially stunning front door into a major snoozefest like cheap hardware. Front door hardware gets used more than any other in your house. 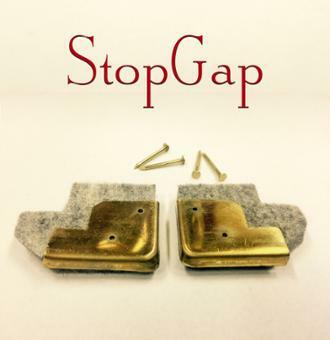 Spend some money to find quality hardware that stands out and compliments the look of your door. There are great sources for vintage hardware all over the web. Don’t forget details like knockers, mail slots, dramatic hinges and kick plates. You don’t want to go overboard, but if you notice the pictures above, all of these extras are used in perfect compliment to the doors they grace. 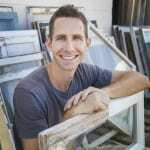 I have a few final tips to save your front door restoration from going south. It’s all too easy to start with good intentions and end up with not quite what you’d hoped for. 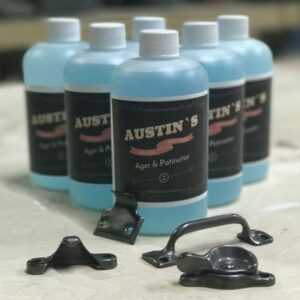 If your door is not the smooth surface it once was and has lots of dings, dents and chips, then stick with a satin paint instead of semi-gloss or gloss. The flatter the paint, the better job it does of hiding flaws. Just steer clear of a true flat paint because they cannot be cleaned well. Satin is the perfect balance. 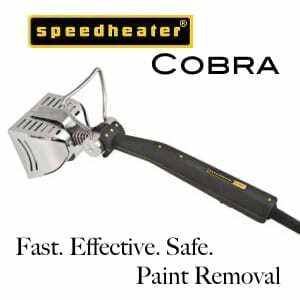 Use a high quality enamel paint. Consider an oil-based enamel paint since they won’t stick to the jambs when the door is closed like latex paint does. Oil-based paints are also much harder so they can handle the heavy hand traffic that front doors get. You’ve got all the tools you need to make that front door look stunning, so turn it into a weekend project. It will make coming home every day a real treat, not to mention significantly upping your curb appeal. Great tip on getting new hardware. Getting a new handle or door knocker with your new door is well worth it. Thanks for the advice! My front door originally had a mortise lock, but that was removed (nothing, not even a working door knob has been in place for years. We use a deadbolt to keep it closed). Would you recommend I find a mortise lock to fit? or fill the hole with wood? We will continue to use the deadbolt to lock the door. btw: single mom doing the work, learning and loving it! Analani, I’d see if you can find a mortise lock to fit the existing opening. That would be easier than trying to fill the hole. 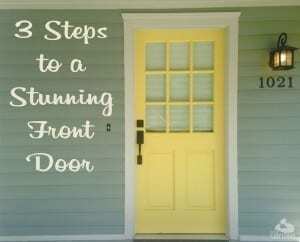 Great tips on choosing the right design for your front door! Thanks for sharing.